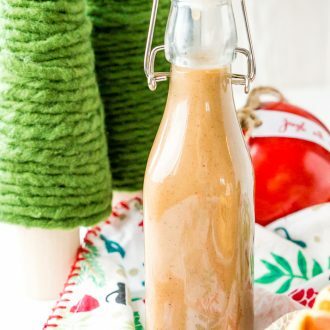 Spiced Vanilla Syrup is a rich and creamy syrup with a blend of cinnamon, allspice, and nutmeg that make this a delicious addition to the brunch table that’s perfect for smothering pancakes, waffles, and more! 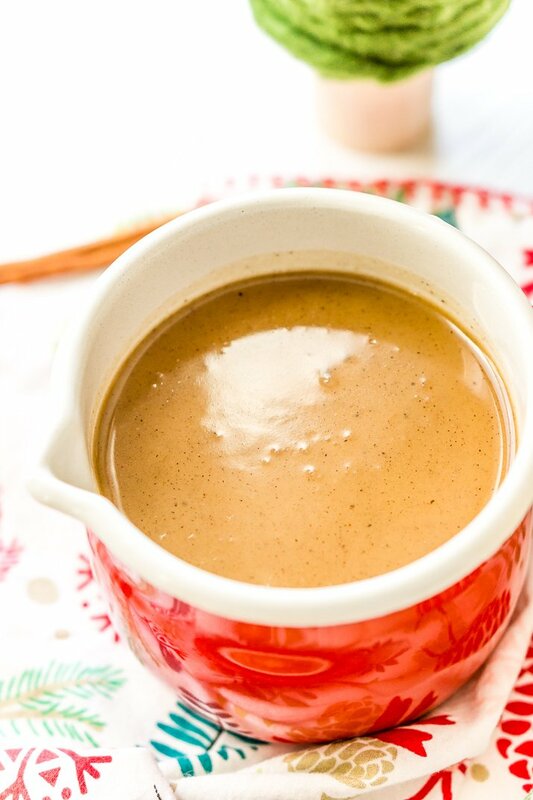 This Spiced Vanilla Syrup is a delectable topping for holiday breakfast dishes like french toast and pancakes! 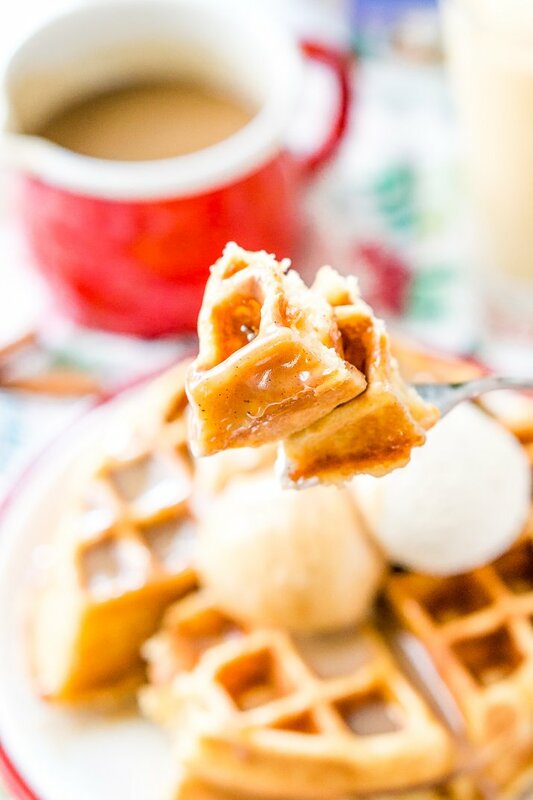 Sometimes you want a little more than the traditional maple syrup, although, there is absolutely nothing wrong with maple syrup (it’s one of my favorite things) but this yummy homemade syrup takes things to the next level! JUST TAKE ME TO THE SPICED VANILLA SYRUP RECIPE ALREADY! 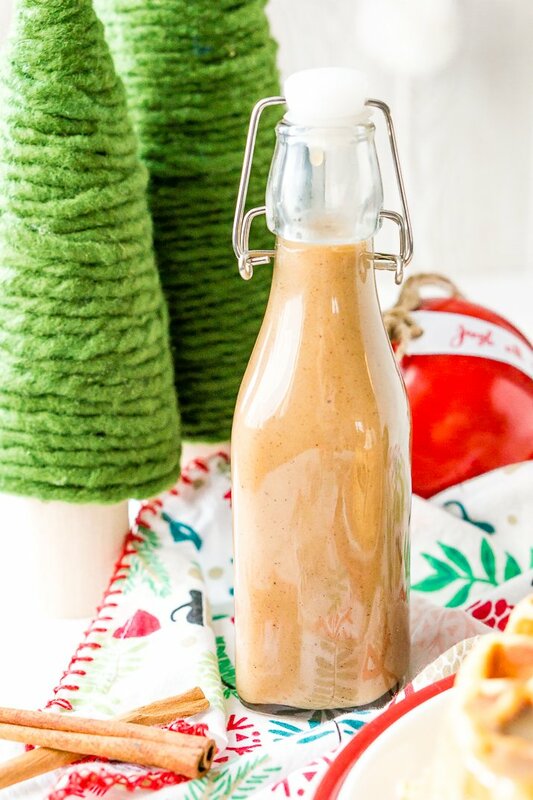 If you’d rather skip my (very helpful, I think) tips and tricks, essential cooking info, and similar recipe ideas – and get straight to this deliciously easy Best Ever SPICED VANILLA SYRUP Recipe – simply scroll to the bottom of the page where you can find the printable recipe card. This recipe is a butter syrup, much like the homemade coconut syrup used in my Coconut French Toast recipe, which means it’s rich and creamy and downright addictive. You’ll probably want to pour it over everything you eat, honestly. What makes this syrup extra tasty is the blend of warm spices like cinnamon, nutmeg, and allspice with smooth vanilla for a bounty of flavor no one can resist. This syrup would be delicious on so many things from breakfast to dessert! 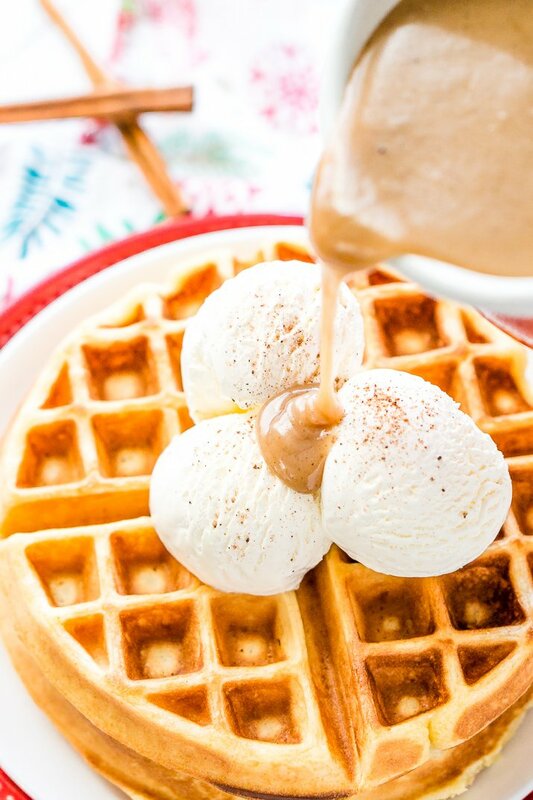 I love serving it with my Eggnog Waffles, Eggnog French Toast, and Buttermilk Pancakes! But imagine it over vanilla ice cream or an apple spice cake – yum! The best part is that this recipe is really easy to make on the stovetop, so you can have a hot pot of syrup in no time! In a medium saucepan combine the butter, sugar, half & half, vanilla, and spices together and cook over medium heat until the butter melts and the mixture begins to boil. Boil the mixture for 5 minutes, stirring frequently, then remove from heat. Add the baking soda while whisking continuously. The mixture will rise once the baking soda is added, so to be safe I would recommend doing this over the sink if you think your pot is a little on the small side. Enjoy on pancakes, ice cream, and more or bottle up to give as gifts! 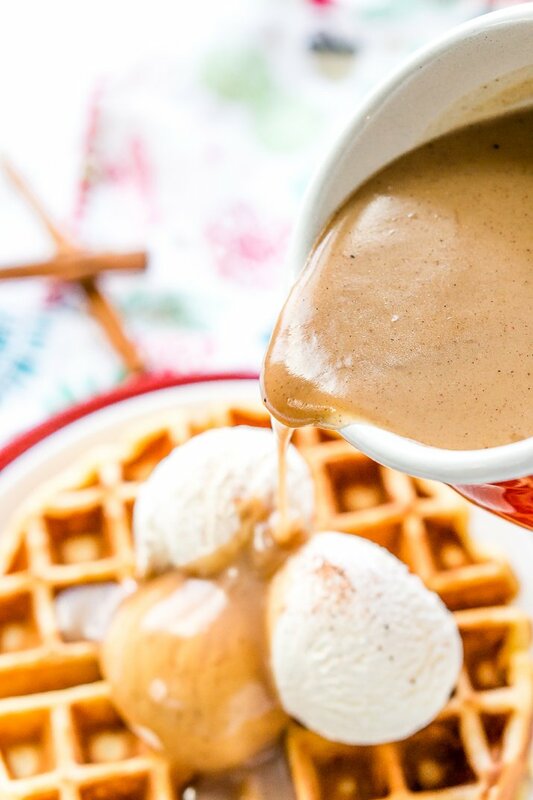 Spiced Vanilla Syrup is a rich and creamy syrup with a blend of cinnamon, allspice, and nutmeg that make this a delicious addition to the brunch table that's perfect for smothering pancakes, waffles, and more! Use immediately or store in an airtight container with NO METAL in the fridge. If you do not have vanilla paste, 2 tablespoons of vanilla extract can be used instead. Nutrition is an estimate per cup of syrup. This makes a large batch ideal for holiday brunch, but you can easily cut the recipe in half for a smaller family breakfast.